After the blazing heat of summer but before winter’s chill chases us indoors, fall calls to us. It doesn’t matter what you do — Just take advantage of this perfect time of year to be outside. 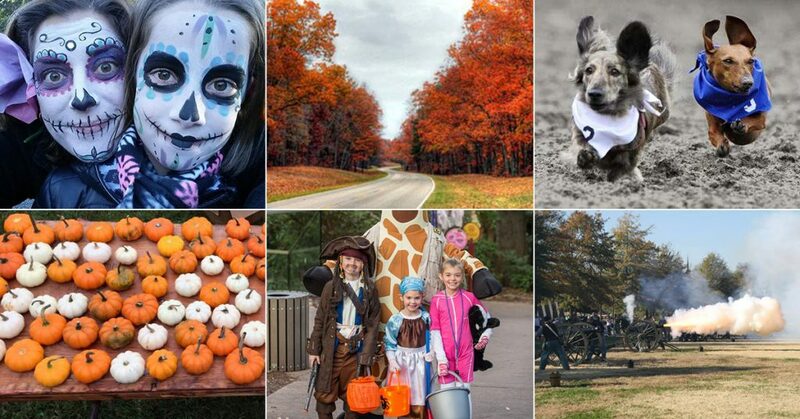 Grab a sweater (it could get chilly out there) and consider this Top 10 list of Fall events your starting point. People from more than 50 different nationalities and cultures call Nashville home, and we should all get to know each other better. For one week the world is at our feet to Celebrate Nashville Culture, starting with an interfaith worship service led by representatives from seven religions. 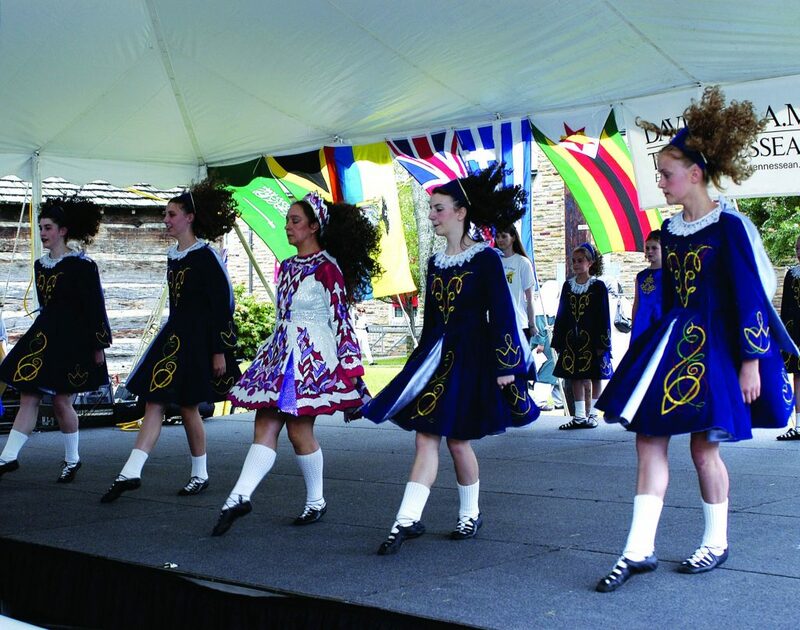 Events that focus on food, music and art fill out a week that winds up with a huge Celebrate Nashville Cultural Festival in Centennial Park. Neighbors meet and mingle while enjoying the food, music, art, dance, crafts, traditional clothing and decorations of many countries. Welcome! Wilkommen! Nyin Dee! Bon Vinuti! Karibuni! Nashville boasts all the wonders of a thriving metropolis, but sometimes the traffic, noise and crowds get a bit overwhelming. And many more local farms transform into autumnal amusement parks for the season. Visitors are challenged to make their way through cornfield mazes, encouraged to relax against a hay bales while staring at the stars and invited to roast hot dogs and marshmallows in a huge bonfire. The Hermitage has been one of Nashville’s major tourist attractions for years, but the annual FallFest brings out a huge local crowd. It’s got everything a fall festival needs: Crafts for sale? Check. Food? Check. Music? This is Nashville — there is always music, and the musicians are always amazing. 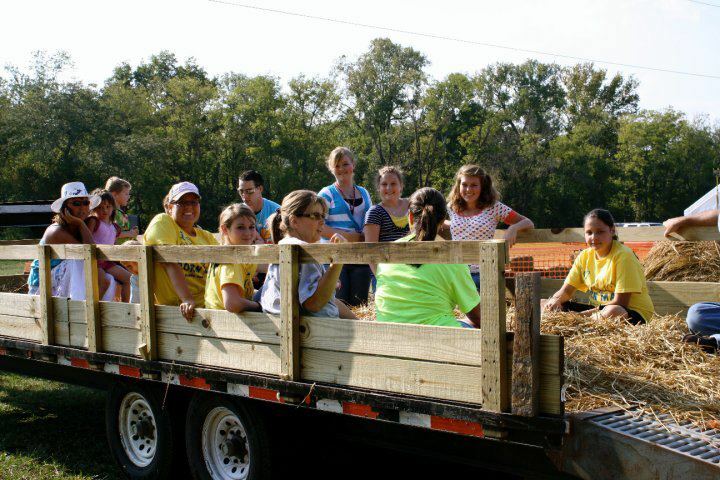 FallFest lets you stroll through the grounds of the historic home of President Andrew Jackson. 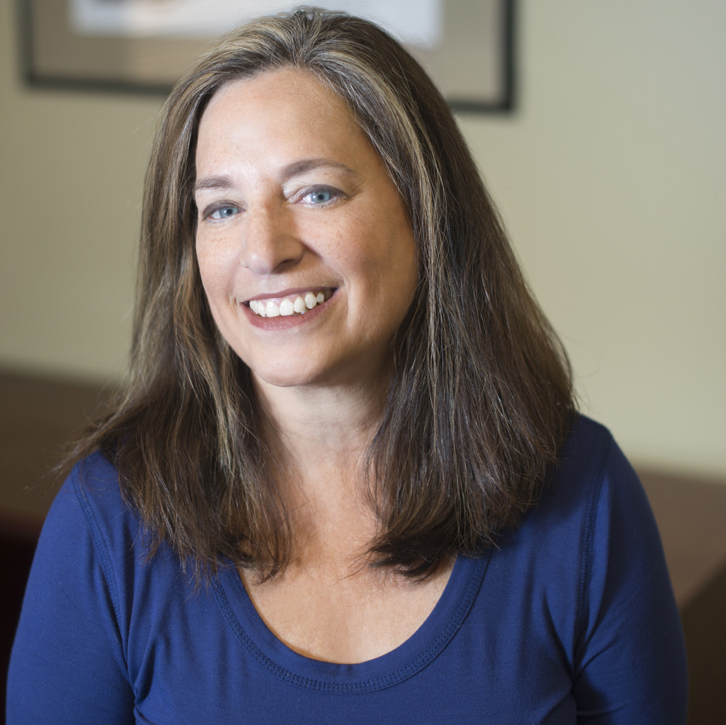 Attendees don’t just dole out currency with Andy’s picture on it though — guests who participate in this year’s Community Project can leave a mark on the site. Individual slats for a picket fence will be available to decorate, and when done they’ll surround Rachel’s Garden at the Hermitage. 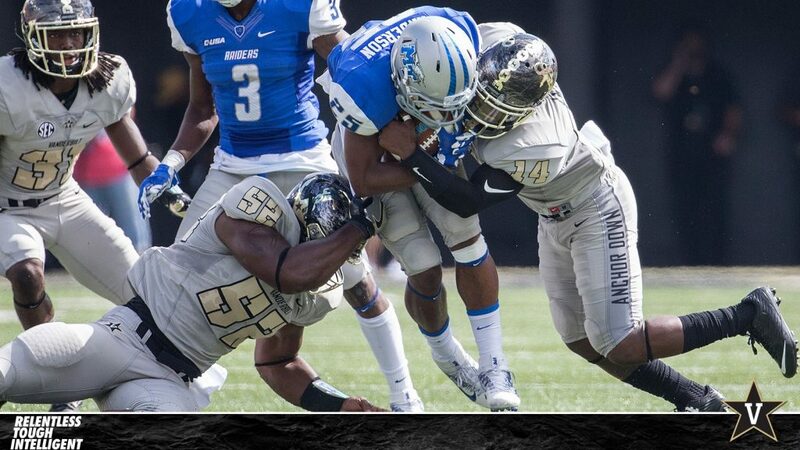 Okay, so maybe these are not the winningest teams in their respective conferences, but what a rush when the Tennessee Titans and the Vanderbilt University Commodores chalk up a victory. These are our teams, Nashville, and they are worth rooting for. Plus we can tailgate with the best of them. This season the Titans added a free Titan Up Tailgate Party, starting three hours before the game, complete with live music and DJs, face painting, Titans cheerleaders and more. Vandyville, the spot for Vanderbilt tailgaters has added food trucks to all the rest of the pre-game fun, and fans love to cheer the players on during the Star Walk, when the team makes its way to the stadium. From start to finish, win or lose, football is the perfect fall spectator sport. Get out your lederhosen. It’s time for oom-pah music, bratwurst and, of course, beer. Lots of beer. Nashvillians fills the streets in Germantown each year for Oktoberfest one of the longest-running and largest fall festivals in the city. But, truthfully, the part we love the best is the Pup Parade and Dachshund Dash, or Dogtoberfest. Any type of dog can stroll the parade with their human, with prizes awarded for best German costume, best pup and handler costume and more. 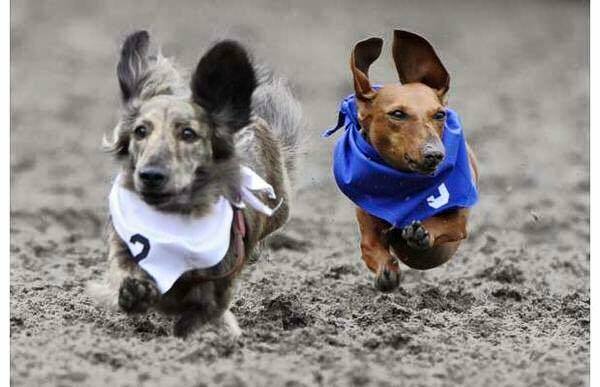 Then it’s on to the races — the Dachshund Dash and Wiener Dog Races to be precise. This is some (sort of) serious stuff, with multiple races on a 20 foot race track for puppies and 40 foot for older doxies. And that, as they say, is the long and short of it. Start by finding the perfect soundtrack for a long drive. 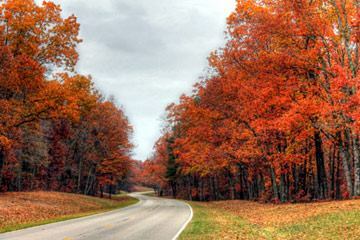 Get in the car, roll down the windows, blast the music and then enjoy mile after mile of nature’s beauty on Natchez Trace Parkway. The scenic route from Nashville to Natchez, Mississippi is a joy in itself, but there are lots of places you can pull over to explore, with stunning waterfalls and fascinating historic monuments. Peak time for foliage is usually mid- to late-October. Gas is still cheap, so go ahead and drive the whole 444 miles. Once upon a time, before Kindles and smartphones and audiobooks, people had to pick up a somewhat large item holding papers filled with words on them from top to bottom. As they read page after page of these “books” a story unfolded. The people who put these books together were called “authors.” And, believe it or not, they still exist. 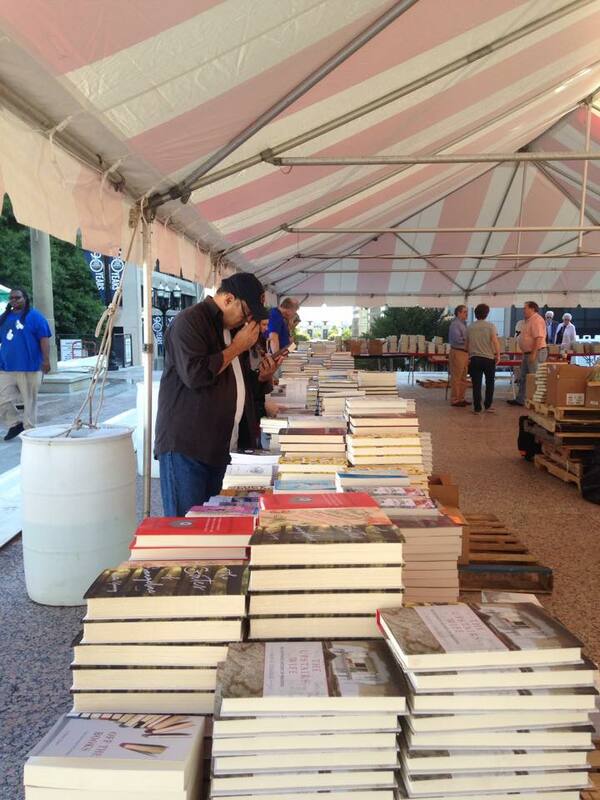 You can find tons of them at the Southern Festival of Books, held at War Memorial Plaza. Not feeling particularly literary? Go for the food trucks, the music and the panel discussions. The name Boo at the Zoo says it all. 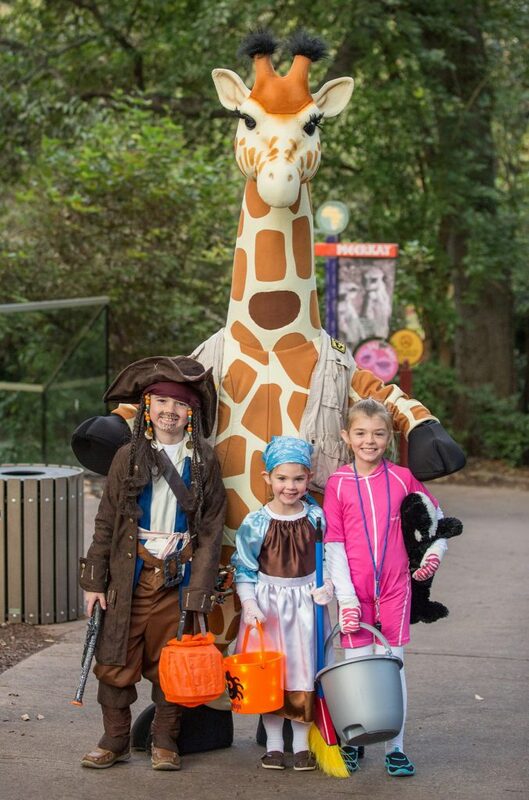 Kids get into their Halloween costumes to go trick-or-treating around the zoo. Add a hayride, a carousel and storytime, and of course animals everywhere. The littlest visitors can stick to all the fun events, and the older kids can get their scare on at the Troll Bridge or, for the bravest among them, the Haunted Barn. Adults may decide to give the Soaring Eagle, a two-person zipline, a try. Join the fun on selected dates from Oct. 14 – 30. Take a step back in time to get an up-close look at Tennessee life during the Civil War, pre-Revolution, the days of the Women’s Suffrage movement and more. Craftsmen at work and more. 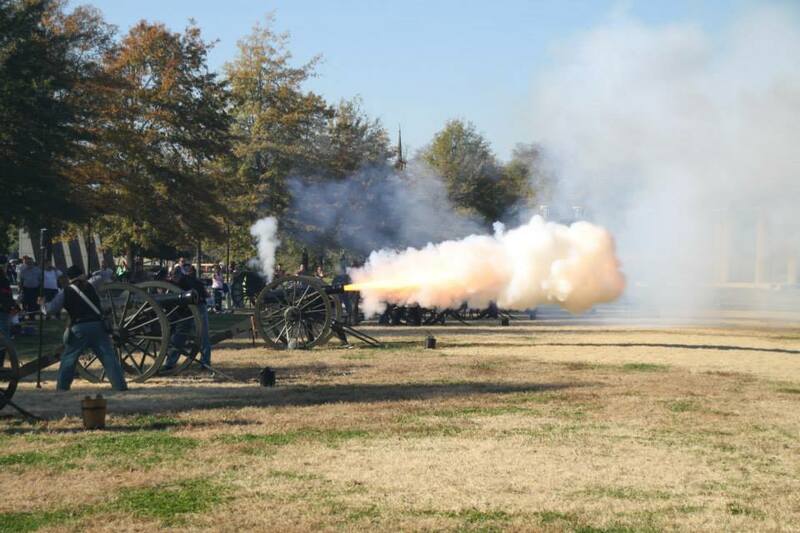 This living history event takes place, appropriately enough, at Bicentennial Mall, which tells the story of the state on it Pathway to History, starting from the prehistoric era. 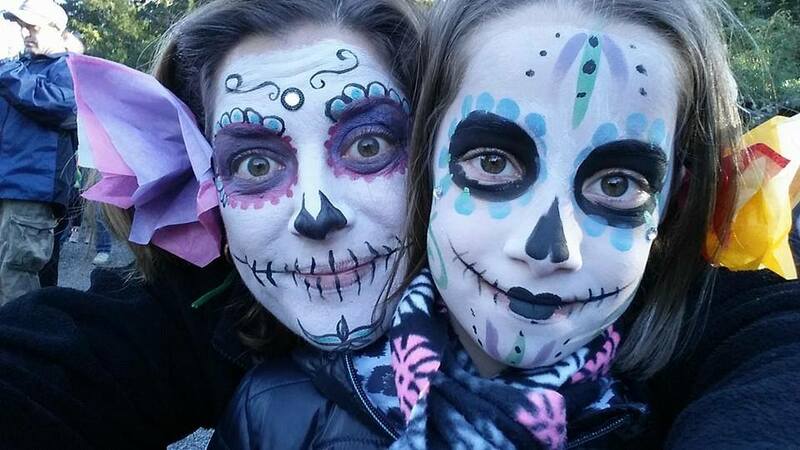 El Día de Los Muertos (The Day of the Dead) is no horror flick. This joyful Latin American holiday honors ancestors who have died by celebrating life. Cheekwood Botanical Gardens & Museum has celebrated the holiday for the past 17 years with a marketplace, food, crafts and more. Highlights of the event include the creation of a chalk mural, representing the temporary time we have on earth, and a tour of memorial altars created by local groups to honor their friends who have passed.